that he has taken so far at the College is abnormal psychology. “I may be biased because I am a psychology major, but every facet of the class was fascinating to me,” said Herzig. The class taught him how to recognize, diagnose and treat different mental disorders among people. Aside from doing school work, Herzig is a student athlete on campus, serving as a pitcher for the W&J baseball team. Herzig hopes they can continue their success for his remaining two seasons. 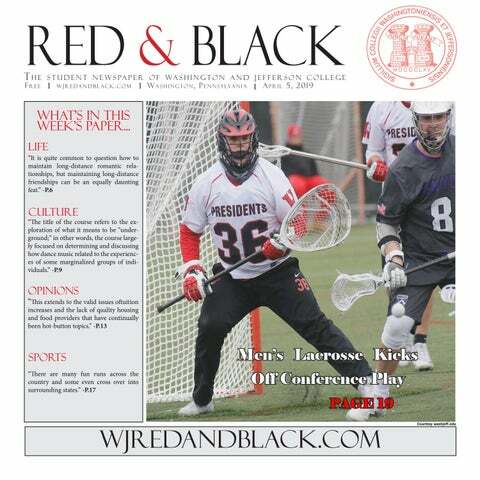 “I love playing for W&J because of the team chemistry that we have,” said Herzig. “The environment is so amazing and I wouldn’t trade it for the world.” He added that he had never been on a team where all of his teammates were so comfortable with each other and could have fun while also competing. When giving advice for future students, Herzig stated that he believes it is important to put oneself in uncomfortable situations and experience new things as much as possible. He has noticed that many new students have a tendency to rely on the safety and comfort of returning to their hometowns frequently after they get to college. In his opinion, choosing to go home every weekend is taking away the purpose of a college experience. He believes college is a place where students can find out who they are and meet lifelong friends along the way. Herzig stated that he is glad he decided to attend school at W&J because he can now consider the College a second home, and he hopes every student will come to share this opinion. Herzig is a junior pursuing a bachelor’s degree in psychology. CPS’s Weekly Security Logs Disclaimer: The Red&Black prints CPS Security Logs as they are reported to the Red&Black staff by CPS. Police reportedly observed a male student staggering at the above location, and the student was found by officers to be under 21 and under the influence of alcohol. The student was cited for underage drinking. CPS observed a male student urinating on Bica Ross Hall, and officers allegedly made contact with the student. He will be referred to the College’s Disciplinary Officer for sanctions and / or will be criminally charged. CPS reports that an individual notified police that an unknown individual was attempting to get the person’s credit card information by threatening to send pictures to his contacts. (It is unclear to whom CPS is referring in this log.) The individual making the call was advised not to send any financial information. Investigation continuing. According to CPS, a male student was walking at the above location. Police report observing him knocking over the metal trash can in the parking lot. He will be charged with Disorderly Conduct. According to campus police, unknown actor(s) removed money from the Henry Gym. Investigation continuing. CPS reports that an individual was yelling obscenities outside of the above location. Upon making contact with the individual, officers allegedly found him to be intoxicated and impaired. He will be referred to the College’s Disciplinary Officer for sanctions and / or will be criminally charged. CPS reports that a student entered the CPS Office on the above date. The student had allegedly received a parking ticket on 02/28/19 and his appeal was denied. According to the officers present, the student became irate and began to yell at the officers. He will be charged with Disorderly Conduct. A student allegedly contacted police and reported that there were two men in their room who refused to leave the room. Officers state that upon arrival at the location, no one was at the room. It was determined by CPS that a student notified campus police and gave a false report. The student will be charged with False Reports to Law Enforcement. The Red&Black is in no way responsible for allegations made by CPS. Staff members edit the logs solely for clarity. DATE:	03/29/19 INCIDENT #:	2641 LOCATION:	125 E. Chestnut (Phi Kappa Psi) CLASSIFICATION:	Disorderly Conduct / Underage Drinking / Obstruction Campus police reports that a student on the sidewalk at the above location made a derogatory statement towards police and then became confrontational. Other individuals allegedly impeded officers from making contact with the individual. Criminal charges are reportedly pending against all individuals involved. DATE:	03/31/19 INCIDENT #:	2652 LOCATION:	127 E. Chestnut St. (Alpha Tau Omega) CLASSIFICATION:	Underage Drinking Campus police report that a student was found to be under the age of 21 and in possession of an alcoholic beverage. The student will purportedly be referred to the College’s Disciplinary Officer for sanctions and / or will be criminally charged. CPS officers report finding an underage student at above location. He was found to be intoxicated, and CPS maintains that the student will be cited for Underage Drinking. DATE:	03/30/19 INCIDENT #:	2645 LOCATION:	Alexander Hall CLASSIFICATION:	Theft A student was observed by CPS stealing a Washington & Jefferson College sign and taking it to their room. According to officers, several students participated in the incident, and all will be sent to the College’s Disciplinary Officer for sanctions and / or will be criminally charged. This incident is still pending investigation. DATE:	03/31/19 INCIDENT #:	2649 LOCATION:	127 E. Chestnut St. (Alpha Tau Omega) CLASSIFICATION:	Underage Drinking CPS reports that a student and a non-student were both observed in the stairwell at the above location. One of the individuals was allegedly hunched over and vomiting. According to CPS, officers found both students to be under the age of 21 and intoxicated. Charges pending. CPS’s Weekly Security Logs Disclaimer: The Red&Black prints CPS Security Logs as they are reported to the Red&Black staff by CPS. The Red&Black is in no way responsible for allegations made by CPS. Staff members edit the logs solely for clarity. DATE:	04/02/19 INCIDENT #:	2664 LOCATION:	S. College @ E. Chestnut CLASSIFICATION:	DUI CPS reports that officers observed a vehicle travailing in the wrong direction on S. College St. A traffic stop was conducted. Upon making contact with the operator (a non-student), he was found to be impaired. Officers report that the operator’s driver’s license was suspended for a pervious DUI. According to officers, the subject refused a chemical test and then was arrested for DUI. Charges pending. DATE:	04/04/19 INCIDENT #:	2667 LOCATION:	S. Lincoln St. CLASSIFICATION:	Disorderly Conduct Police were stationary at the Rossin Campus Center when officers reportedly heard yelling from blocks away. A vehicle traveling on S. Lincoln St. approached, and officers observed several individuals in the bed of the truck creating a disturbance. As they passed the Police vehicle, the subjects allegedly hid under a bed cover. A traffic stop was conducted. CPS reports that seven students will be referred to the College’s Disciplinary Officer for sanctions. DATE:	04/06/19 INCIDENT #:	2670 LOCATION:	S. College at Wheeling St. CLASSIFICATION:	Act 64 A vehicle was stopped at the above location for an equipment violation. Upon making contact with the occupants (non-students), officers reportedly detected the smell of burnt marijuana. The operator of the vehicle license was suspended for a DUI violation. CPS reports that the driver was arrested for the suspended license and the passenger was arrested for possession of marijuana. Long-distance friendships are rewarding when friends are finally reunited. challenge can foster a positive mentality that will aid in keeping friendships strong. Though there is no equal substitution for personal interaction with friends, the possibility of keeping a friendship alive is only limited to the mentality of the friends involved. Pittsburgh is filled with opportunities to try new foods and go on adventures. parlor. While the shop closed in 1979 and was dormant for more than 20 years, the family of the original owners revived the business and brought the sweet business venture back to life. From the vintage soda fountains and the beautifully crafted countertop and stools to the penny candy jars and the drugstore paraphernalia, this is one spot visitors should not skip on their trip to Pittsburgh. No matter where anyone goes in Pittsburgh, they are sure to have a blast, but these four places will definitely make some memorable moments. So the next time people find themselves journeying into the city, they should be ready for an adventure filled with art, culture and lots of good food. You do not have to travel across the world to visit an amazing city. Even a local city like Philadelpha, pictured above, can be a great destination for the traveler on a budget. other interesting destination for those who enjoy history. The Atlanta History Center commemorates the cityâ&#x20AC;&#x2122;s past, and the Martin Luther King, Jr. National Historic Site is dedicated to the great leader and activist. These cities are all unique and beautiful in their own ways and are worth the trip to go see, especially if you are on a budget. my existence that was influential in shaping the music of today and that has left a lasting mark on our society,” said Rote. “Dr. Mukherjee was a great instructor, and she made the class very fun and interactive.” If this class is ever offered again, I wholly encourage students to take it to better educate themselves. Disco music was an important part of the club scene in the 1970s. For thousands of years the women of Central Asia have been weaving handmade rugs with beautiful designs. However, in 1979 with the Soviet invasion of Afghanistan, the carpets began to change radically. This assault on the country displaced more than a million citizens and devastated the region. This was felt so deeply that the women in Afghanistan, and those refugees living in Pakistan and Iran, began to incorporate the ideas of war and suffering into their rugs. Before women often created images of nature and decorative knots, but after the invasion, these peaceful images were replaced by machine guns, grenades, helicopters and tanks. to work with female weavers to create breathtaking tapestries depicting maps of the world with national flags and bold texts. Many Afghan refugees in Kashmir created some of the first war rugs, and Muslims reportedly used them for prayer rugs and Hindus used them as yoga mats. This cross-religious purpose for these rugs shows that they have an artistic purpose and a use in people’s everyday lives. These rugs are unique mediums for telling stories and preserving tradition and culture. They also break the boundaries between war and peace, and they give viewers a unique insight into these women’s lives and thoughts. The violence many rugs portray should give viewers pause because these weapons and machines of war have the power to destroy culture and art itself. Women in Afghanistan took their traditional weaving skills and included modern war images. “Christina’s World” invites viewers to ask questions about the subject. art, like Abstract Expressionism and World War II. But he still continued to gain money, and although he reportedly offered the Olson family gifts, Christina refused. He indirectly profited off the struggles of a disabled woman and her family. However, the painting begs viewers to return and ask the questions it so desperately deserves. The painting is beautiful and curious. Of course there is a questionable past to this piece, and it certainly should not be overlooked. However, there is something wonderful about this painting. Maybe it is the new curiosity found in each new glance, or the constant need to question both the artist and the piece, but there is a value to this painting and something extraordinary to be found. Brain itches Unresolvable Like an allergic reaction inside my neurons. I can’t think can’t blink. Trying to zone it out shut it out. “just ignore it” “let it go” “quit being a spaz” Don’t you think I would if I could? I wish I could. If I could just Close my eyes to it, my mind to it, my ears, my whole body To avoid the itching in my brain of a broken place that uses order to ease anxiety. GET OUT, I think. To the feelings in my brain To the crumbling, wincing, wilting feeling as it tries taking over. To the kid who coughed through the entire exam To the friend dropping crumbs on the floor To the man eating so loudly that I got up and left. Every dust bunny must die. Every bin must be labeled. Every picture must be parallel. Every book a spot. Every wrinkle straightened. Pillows level. Carpet centered. College or its students, faculty, or administration. 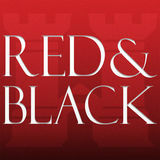 The Red & Black welcomes all reader contributions, but reserves the right to reject letters of pure promotional nature, as well as letters which do not meet its standard of integrity, accuracy and decency. The Red & Black also reserves the right to edit submissions. judge his performance and character. In his short time here, I already have had the pleasure of speaking with him. Not only has he personally taken the time to deal with serious campus issues affecting minority students, but he has encouraged students to communicate with him to help strengthen college relationships. His earnest love for the College and the student body is easily felt. This is something that the entire campus should appreciate. Overall, it is important to remember that one person does not make up a college, but one person can change it. If students are facing problems and fear they are being ignored, they should find a professor or staff member willing to help. At the end of the day, W&J does care about its students and regardless of its flaws, strives to create the best college experience. Letters are due on the Monday before publication and may not exceed 600 words. All letters must include the author’s name, campus box and telephone number. Names may be withheld upon request under certain conditions on rare occasions. All letters may be submitted to redandblackstaff@jay. washjeff.edu. In our digital age, it is so easy to take for granted the importance of interacting with people face-to-face because it is easier to email, text or call. hold fluent and valid conversations with other individuals without feeling intimidated is a rare skill. “Speaking face-to-face gives one the ability to directly rationalize and address situations as they present themselves,” said Julia Adams ‘22. Speaking face-to-face, in addition to being an important skill for success later in life, gives one a deeper understanding about how others resolve conflicts and come to an appropriate resolution. Conflict resolution allows for individuals to move forward with problems in a way that technology limits. According to W&J 2018-2019 tuition and fees list, the cost for a traditional double room is $7,438. This includes housing options such as all first-year halls, Presidents Row and Marshall Hall. be paying $482 per month for a onebedroom apartment, which is the average cost in Washington. Aside from the cost and financial literacy gained from living off campus, learning to run a household effectively is a huge benefit. “You gain skills by being independent and taking care of everything yourself,” said Meghan Gonzalez ’21. “You learn how to be self-sufficient and dependent. You also learn how to be an efficient problem solver of daily-life hassles without needing to rely on others around you.” W&J claims to strive to prepare us for the real world, but by not giving us the freedom to choose how to handle housing choices, they do not give us all possible tools they could. wanted to be apart of a winning program,” said Bellini. Bellini is coached by Coach Christopher Faulk. “Coach allows us to practice to our abilities while still making us better,” said Bellini. He has been able to work his way up on the tennis team this season by being the first doubles participant and the second singles participant. Bellini has been able to find success this season alongside his teammates as they currently stand at 6-2 and 1-0 in PAC play. In their last match against conference rival, Theil, Bellini finished his singles matches 6-2 and 6-0 and won his doubles match with teammate Nate Wang ’21 8-0. Bellini is excited at the early success the team has had and hopes to keep it up to compete for a winning record and a PAC championship. Although Bellini is newer to the team he has not felt like an outsider. Bellini has enjoyed meeting his teammates and being able to play with a competitive team that aims for high success this season. He and the team hope to continue their success into PAC play as they take on the Geneva Golden Tornadoes on April 3 and Saint Vincent Bearcats on April 5. Bellini quickly excelled on the men’s tennis team, earning himself a spot on the doubles first team. race. One of the best aspects of these fun runs are that they are traveling races. This means the locations of these races cross state boundaries. If one is interested in participating in these races, they can simply look up the name of the fun run and locations, and this information should be easily accessible to interested runners. “I loved participating in these fun runs. I run in the Relay for Life,” said Michael Bury ‘20. “I liked it because it was really fun, and I do it for my family.” These runs can be found throughout the Pittsburgh area with races of various themes occurring almost every week during the upcoming spring and summer months. The Color Run attracts all types of runners and bring fun, fitness and vibrance to cities across the United States. I played as well as I did because this is a huge confidence boost for me that will potentially lead to much better scoring this season,” said Barilar. Daniel Velasco ’20 and Jake Darr ’20 also finished in the top 10 individual competition. Velasco scored a 151 (+9) and finished in a tie for sixth place. Darr scored a 155 (+13) and finished in tenth place. Ben Pettica ‘21, Zack Mindel ‘22 and Casey O’Korn ’19 also attended the invitational and contributed to the team’s success. O’Korn tied for 12th place with a score of 158 (+12). Mindel tied for 24th place with a score of 166 (79-87) and Pettica places 38th with a score of 175 (84-91). “Overall, I’m very proud of the way my teammates and I played this week on a hard golf course and against a solid field,” said Barilar. “This was the start to the spring season that we needed to give us the confidence to play well this season.” The Presidents will travel to the Grove City Invitational for their next competition. It will be held at the Grove City Country Club on April 11. Garrett Barilar ‘21 wins medalist honors at the Eagle Invitational. The W&J men’s lacrosse team runs off the field and strategizes with their coach during their game against Chatham University. ping eight points, tallying five goals and three assists. Brunner finished with four goals and other goals were also added by Strain, Mark Mandak ’20 and Patrick Heidecker ‘20. The Presidents are now 5-5 in the season and 0-1 in PAC play. Grant Allison ’21 appreciates the team’s positive attitude for the future. “Although this loss hurts, we saw a lot of good out of our team and we are not worried about this loss affecting us too badly for the rest of the season,” said Allison. The team will be back in PAC play with a match against rival Saint Vincent College on April 7.